Click on the video link below to view the official opening of Vision Park Phase One (held on the 31st January 2018) and view aerial images of the completed development. Vision Park represents an opportunity to relocate to the most exciting commercial development in the Lancashire region. The 5 acre (2.02 hectare) development will provide a high quality industrial accommodation and advanced manufacturing hybrid accommodation for a wide variety of occupiers with bespoke design and build solutions to suit. 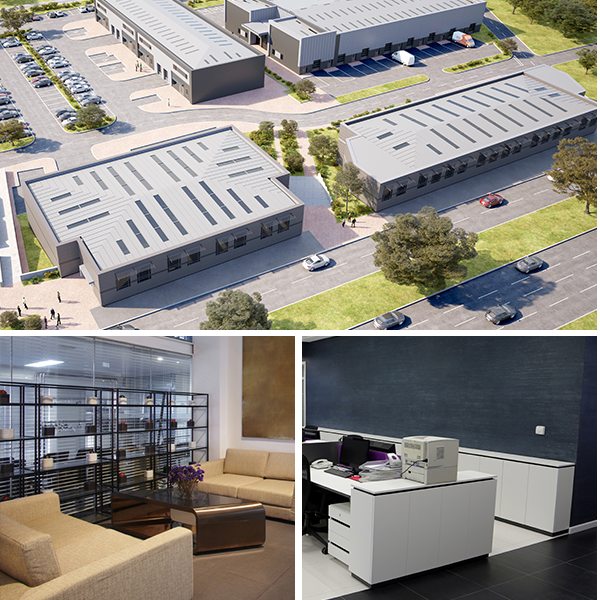 Phase One was completed in January 2018 providing a range of industrial units from 825 sq. ft. to 5,500 sq. ft. The quality of built environment and finished product will be underpinned by the skilled and diverse labour pool within the region.Vision Park represents an opportunity to relocate to the most exciting commercial development in the Lancashire region. 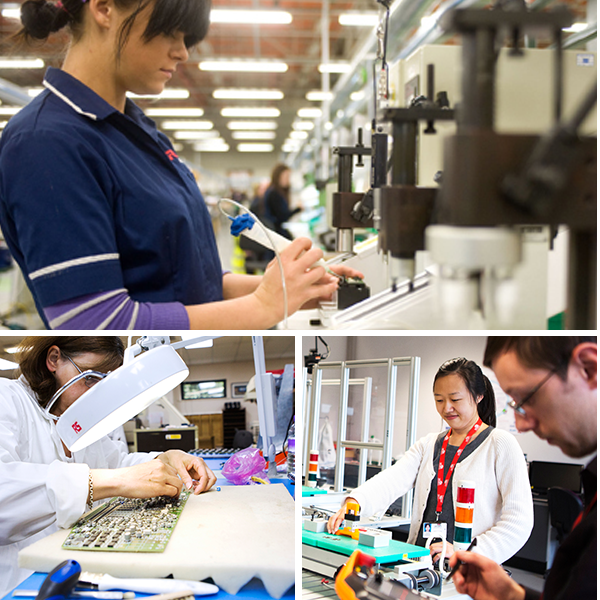 Burnley has a significant business base in advanced manufacturing, encompassing firms in aerospace, automotive, electronics, optical equipment and environmental. The proximity of Vision Park to the Burnley College and UCLan education campus will benefit businesses as they tap into the skills, research and knowledge being developed at the Centre of Engineering Excellence. Prestigious local companies include: Safran Nacelles, BCW, Fort Vale Engineering, Futaba Manufacturing UK (FMUK), Kaman, Paradigm Precision, Coveris, MB Aerospace, Pipeline Induction Heat, Rolls Royce, ZF TRW Automotive, VEKA, Velocity Composites. With a number of high performing home-grown businesses and international market leaders, Burnley has a strong digital specialism in IT services, Media and Creative Arts. 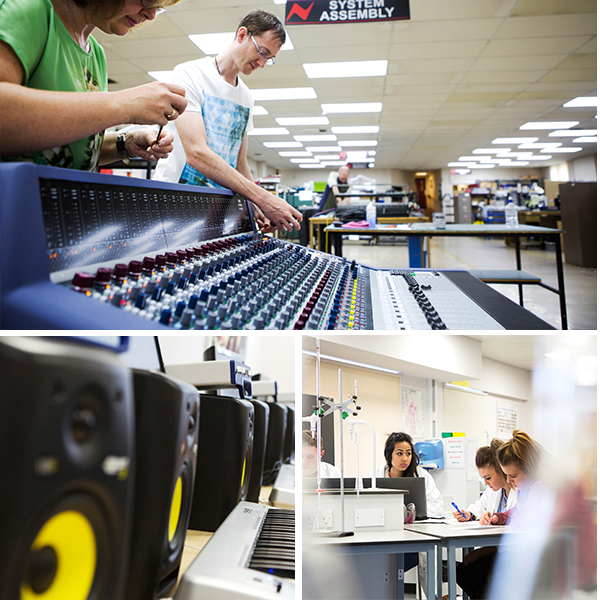 The adjacent education campus offers state of the art facilities to educate the future workforce, whilst providing access to industry standard equipment for local businesses. A key driver for growth in the region is the digital sector and Vision Park has been designed to provide sufficient services for occupiers from the digital sector. 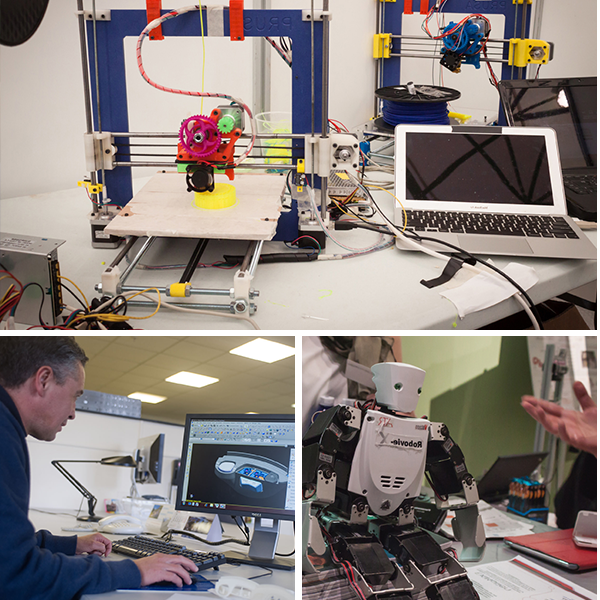 Knowledge industries and professional services are a growing sector in Burnley and essential to support the advanced manufacturing and digital companies of the future. Located in close proximity to the education campus, companies located on the Vision Park will be ideally situated to take advantage of knowledge transfer opportunities and in utilising intelligent and innovative approaches, they will drive higher end values for their businesses. Local companies include: FDM Digital Solutions, Process Instruments, JP74, Flow XO, The Connect Group, Wired Marketing and AMS Neve. 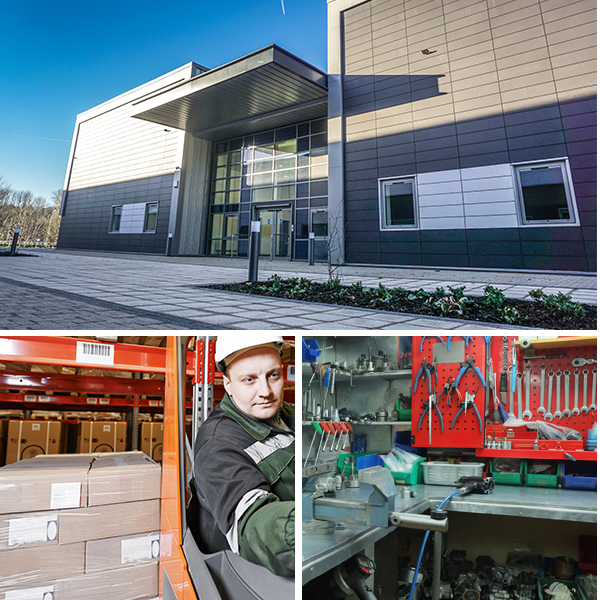 Burnley is at the centre of Pennine Lancashire, conveniently located on the M65 corridor allowing for easy reach to suppliers and customers both regionally and nationally. The town has a population of 87,100 and is the prime employment and service centre for over 350,000 people from the surrounding economic area. Businesses can benefit from a substantial and growing pool of skilled labour in Burnley, with high calibre graduates from the adjacent Burnley College and University of Central Lancashire (UCLan) campus. Working with local businesses Burnley was awarded Most Enterprising Area in the UK 2013, and alongside investment in major regeneration initiatives and supported by a rich heritage, Burnley is an attractive location for businesses investing in the Lancashire area. Vision Park is situated off Princess Way – one of the main arterial routes into Burnley town centre from Junction 11 of the M65. The site is located in an urban setting with attractive landscape views, immediately adjacent to the Burnley College and UCLan campus. It is excellently positioned between Burnley town centre and two junctions on the M65 motorway (J10 & J11). The M65 motorway leads South onto the M66 and onto the M62 for Manchester, Leeds and Liverpool. Along the M65 to the West are Blackburn, the M6, Preston, Fylde Coast and the Lake District. Burnley town centre and all its amenities are within walking distance. Burnley Central Station is also in close proximity and the site is additionally served by Burnley Manchester Road Station and a direct rail service to Manchester Victoria and Salford Central. The areas surrounding the buildings are just as important as the buildings themselves. The masterplan is designed to engender a sense of place and at the centre of the Vision Park is a ‘green heart’. All the buildings will have an aspect on to this space which will be readily accessed by pedestrians and vehicles using the boulevard that runs through the site. The vista across the site towards the River Calder and beyond connects with the boulevard and the green heart, providing dramatic views of the playing fields and the Grade II listed Burnley Viaduct. The green heart will be a key social point for all the various people who will work, visit and pass through the site. The flexibility of the masterplan and planning consents at Vision Park means that occupiers from a wide range of sectors can be accommodated. With East Lancashire being a key destination for advanced manufacturing, Vision Park has sufficient infrastructure to support bespoke design and build opportunities on phases 2 & 3, which will provide cutting edge working space allowing occupiers to perform on a regional, national and international platform. Phase One has been built on a speculative basis providing units from 825 sq.ft. to 5,500 sq.ft. on a leasehold basis (Units 1-14). These were completed in Jan 2018 and most are already let. The Knowledge Quarter vision is to create an environment where companies from a wide range of sectors can benefit from the attributes of the town and region to grow their business. Phase Two has been designed to offer such a solution. With innovative flexible design, buildings can be offered to meet advanced manufacturing, research and development requiring higher than normal levels of office space, allowing occupiers the opportunity to thrive in a high quality working environment with like-minded businesses. Industrial accommodation up to 10,000 sq.ft. Vision Park is the perfect location for a wide variety of manufacturing uses. The park has been master-planned to provide industrial accommodation from 10,000 to 21,260 sq.ft. with bespoke design and build opportunities available. The space will reflect cutting edge design and benefit from a sustainable specification, which will provide an effective working environment, set in a soft and hard landscaped setting close to amenity and public transport links. Excellent levels of secure on-site car parking will be available. High levels of office accommodation can be achieved above the warehouse space. Construction of Phase One on the industrial units was completed in January 2018 and has achieved a high level of interest from occupiers with units from 825 sq.ft. to 5,500 sq.ft. Units are available on a leasehold basis from the Local Authority as owner operator. Further information should be sought from Burnley Council's Business Support team on 01282 477213. The developers of Vision Park are Trebor Developments who have a proven track record of delivering high quality working environments throughout the UK. 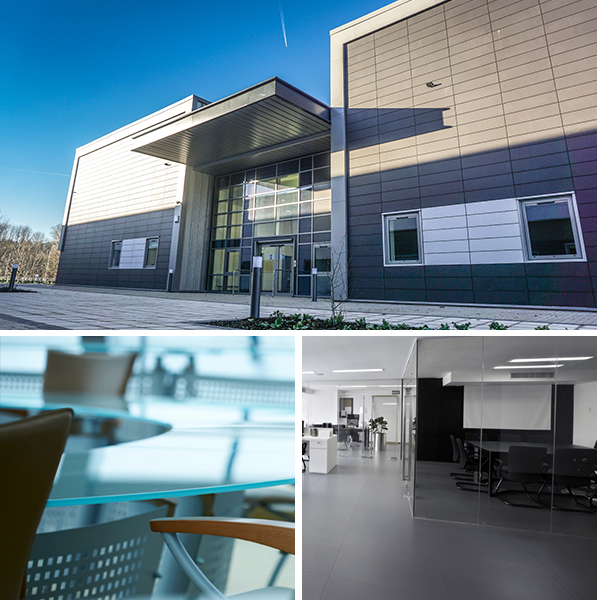 Trebor have a commitment to providing space which provides occupiers with the ability to grow and thrive. They have assembled a first class team of advisors at Vision Park who share the ‘Vision’ that the development will be the most exciting place to work in the Lancashire region. For further information on Trebor Developments click here. 1.These particulars are prepared for the guidance only of prospective purchasers. They are intended to give a fair overall description of the property but are not intended to constitute part of an offer or contract. 2. Any information contained herein (whether in the text, plans or photographs) is given in good faith but should not be relied upon as being a statement or representation of fact. 3. Nothing in these particulars shall be deemed to be a statement that the property is in good condition or otherwise nor that any services or facilities are in good working order. 4 The photographs appearing in this brochure show only certain parts and aspects of the property at the time when the photographs were taken. Certain aspects may have changed since the photographs were taken and it should not be assumed that the property remains precisely as displayed in the photographs. Furthermore no assumptions should be made in respect of parts of the property which are not shown in the photographs. 5. Any areas, measurements or distances referred to herein are approximate only. 6. Where there is reference in these particulars to the fact that alterations have been carried out or that a particular use is made of any part of the property this is not intended to be a statement that any necessary planning, building regulations or other consents have been obtained and these matters must be verified by any intending purchaser. 7. Descriptions of a property are inevitably subjective and the descriptions contained herein are used in good faith as an opinion and not by way of statement of fact. Published June 2014, photography taken 2014.